Jon Wertheim on Nick Kyrgios' third round win over former semifinalist Milos Raonic and more reader questions. LONDON – No sport does unintentional irony quite like tennis. We got a vivid example today. Early in Nick Kyrgios’ third round match against Milos Raonic, he took out a headband and used it to girth the dome of hair that is carved elaborate and streaked blond. 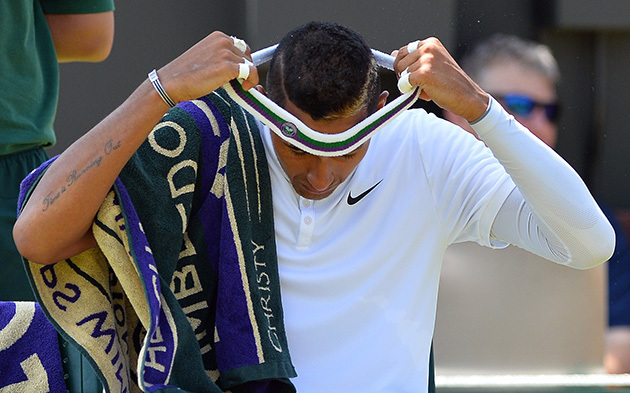 Though Kyrgios—ascending star that he is—is sponsored by Nike, the headband was an official Wimbledon brand, emblazoned with the green and purple logo. Kyrgios played exceptionally well, serving rockets, and showing off a level of athleticism strikingly superior to his opponent’s. Kyrgios also emoted exceptionally well. He gesticulated and joked with the crowd and unfurled fist pumps that made the Jimmy Connors variety look modest by comparison. He also bounced his racket on the court so forcefully it landed in the crowd. 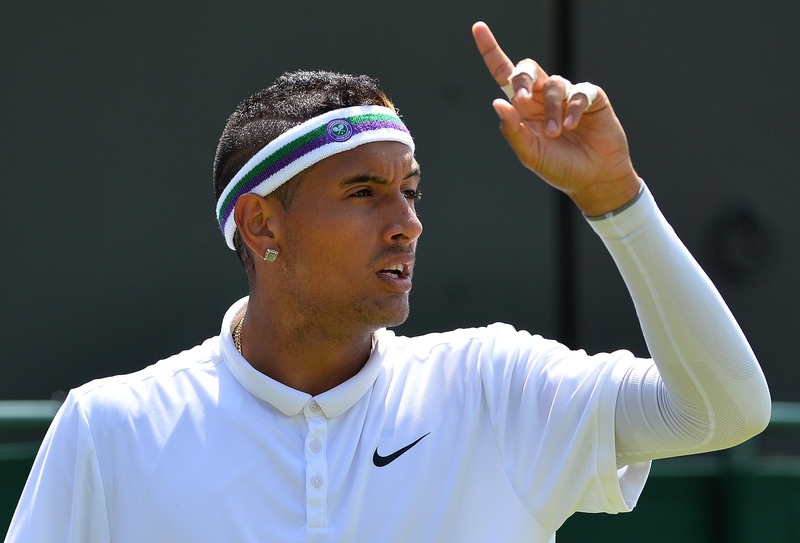 Midway through it all, Kyrgios was told he had to turn the headband inside out. Why? It violated the all-white policy. Leaving apart the absurdity that the club sells apparel that violates its own standards, for much of this first week, Kyrgios has been chided for his color—his pizzazz; his punch; his passion. And now he was being told that, literally, he was too being colorful. Ah, tennis. But pick a side now. Because Kyrgios isn’t going anywhere and he’s not changing his ways. Given every chance to pipe down or dismiss his antics as the offshoot of intensity, he has chosen authenticity. This is who I am. Deal with it. Not long after Kyrgios wrapped up Raonic in four sets—sending home a former semifinalist—his countryman Bernard Tomic went to the press and absolutely ripped Tennis Australia, going so far as the encourage the journalists to “investigate what they are doing and where the money is going. 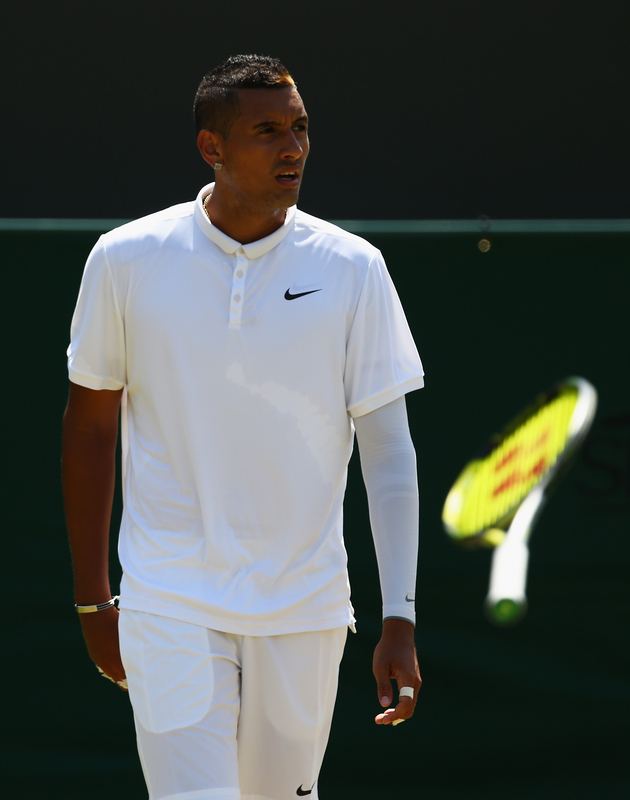 It’s horrible.” Suddenly, Kyrgios’ loud clothes and “NBA antics,” as one Brit derisively called them, don't seem so mad. Kyrgios comes back Monday. 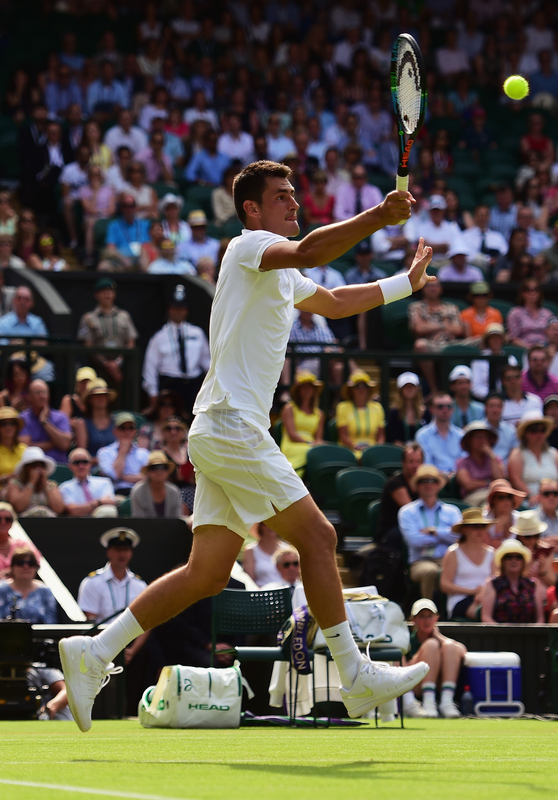 He gets Richard Gasquet, the player he beat here last year staving off nine match points. Another round of color wars. • We’ve seen this movie. But it doesn’t make it less entertaining. Serena Williams loses and set and appears to be on the brink of a shocking defeat. Then she begins dialing in her shots, while the opponent retreats. Today’s supporting role was played by Britain’s Heather Watson. She won the second set and led 5-4 in the third, before Serena reeled off the last three games. 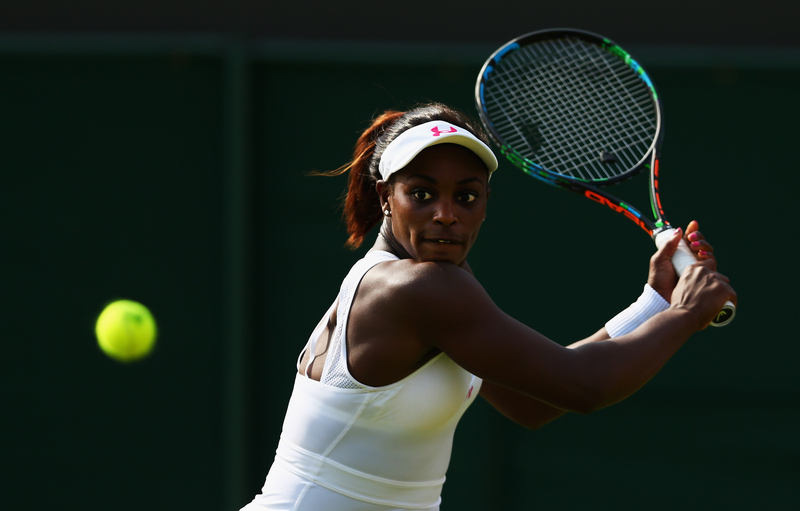 The prize for Serena: her sister, Venus, who is playing splendidly. 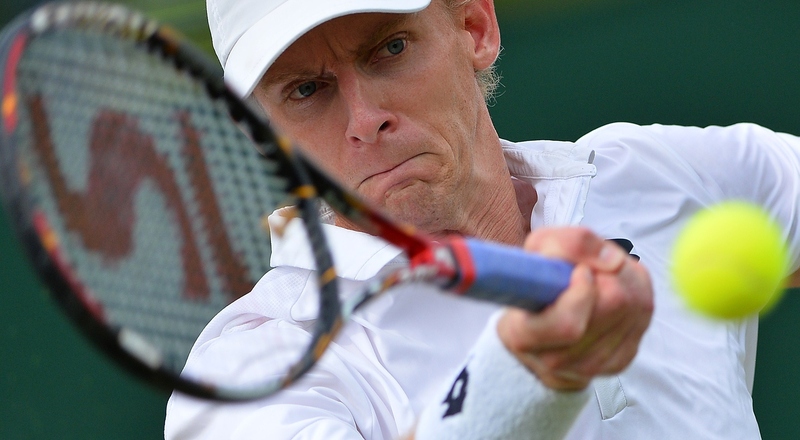 • On the eve of the Fourth of July, there is one American male and it is….Denis Kudla. 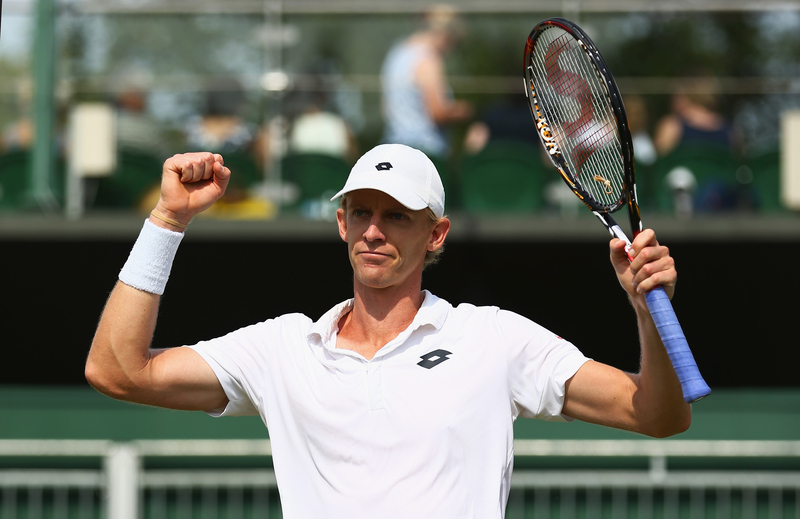 The 22-year-old American reached the second week with a gutty win over Santiago Giraldo on Friday. Kudla has won less than $100,000 for the year. He makes a minimum of $200,000 for this event. • There are players in regress, works in progress and studies in stasis. 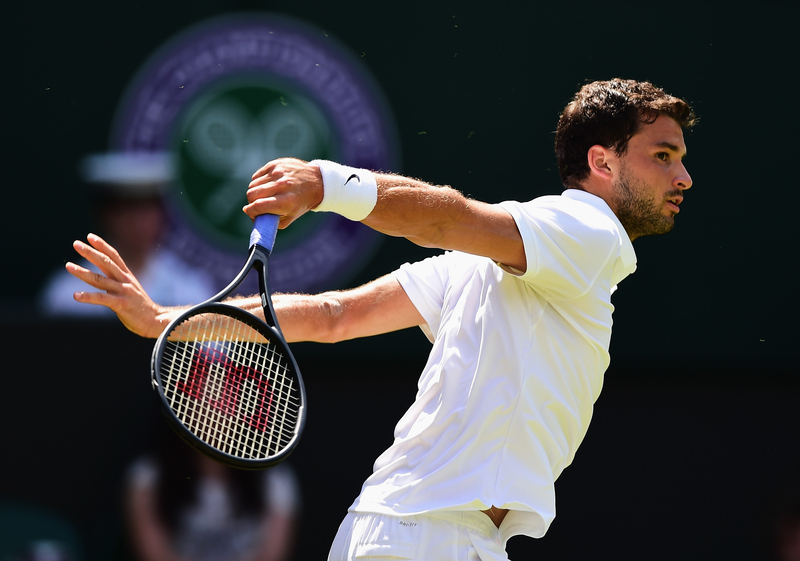 But Grigor Dimitrov is in the last one. He’s not falling on his face, but he’s also not advancing as he should be. 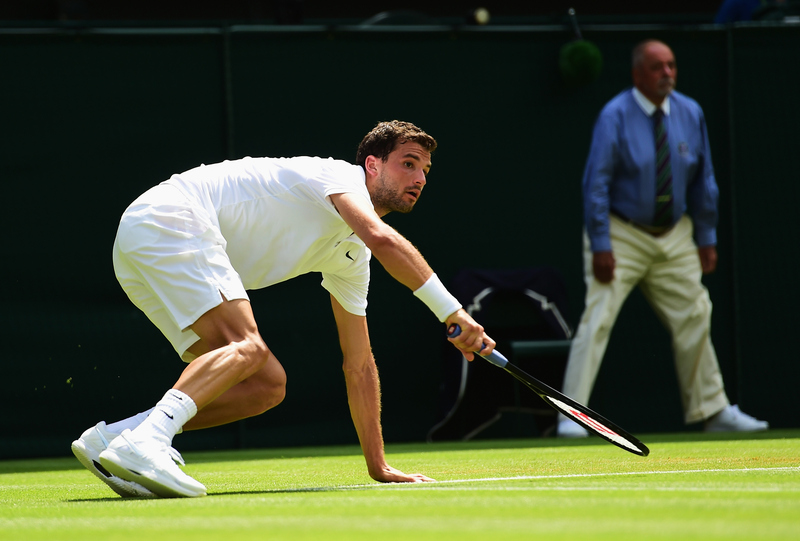 On Friday, he fell in straight sets to Richard Gasquet. 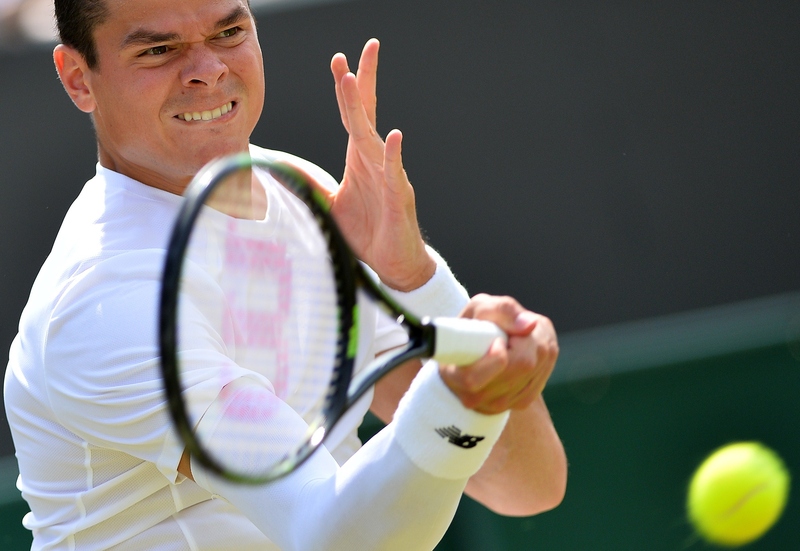 • There are no tweeners, no headbands, no serving-and-volleying on every point to beat Nadal. So the progress of Novak Djokovic has gone largely unnoticed, never mind that he is the defending champion. 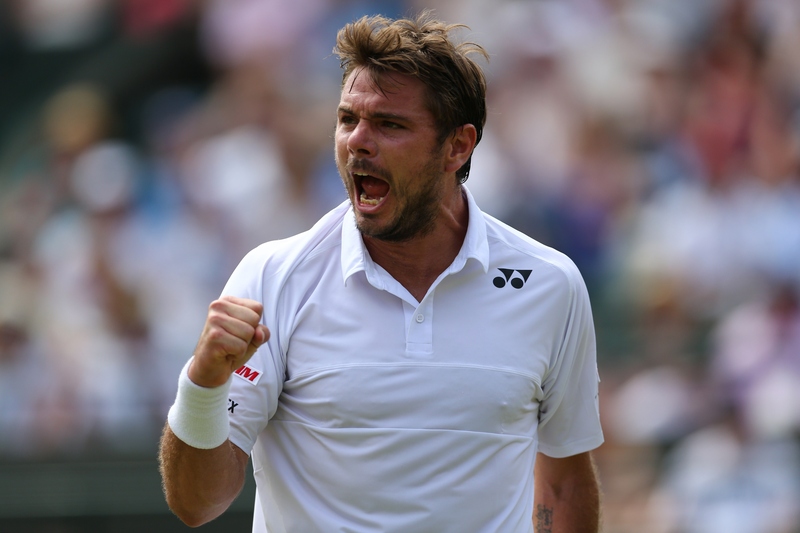 Still, he’s now won ten straight matches at Wimbledon. 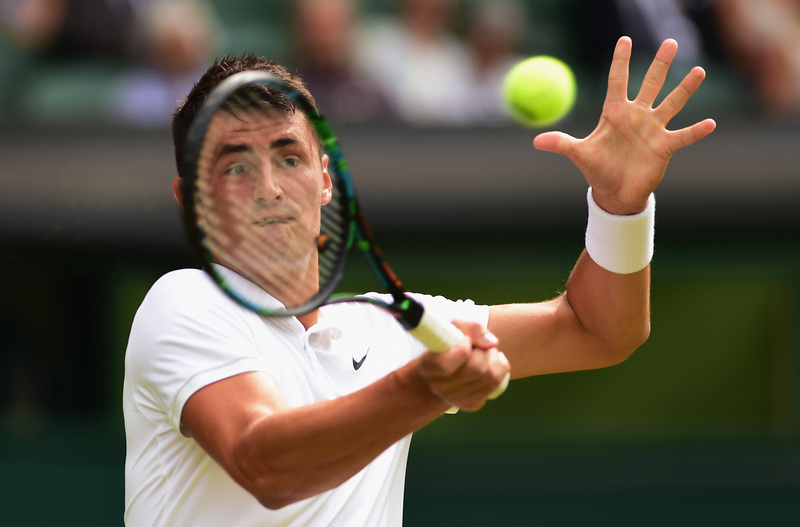 Today’s victim, Bernie Tomic—who then blasted Tennis Australia. 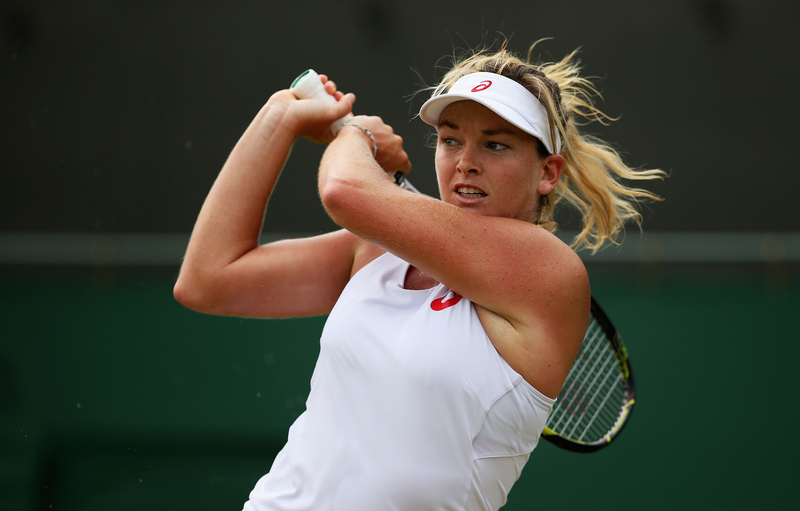 • Coco Vandeweghe continues to roll. 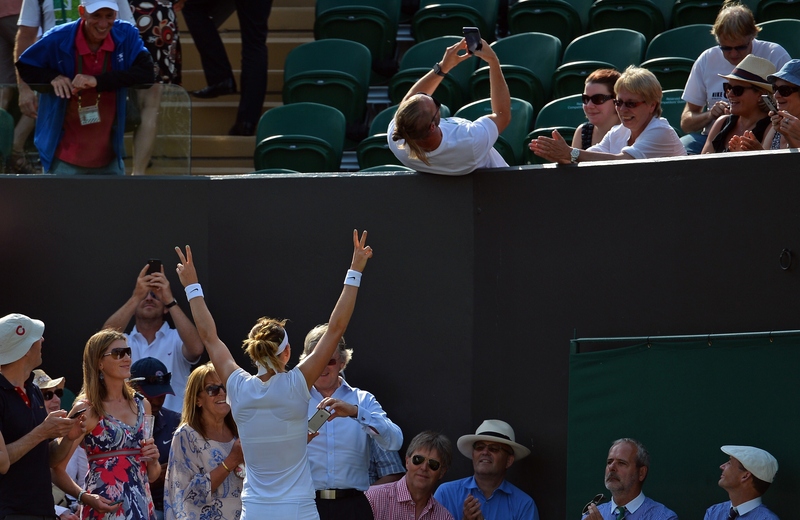 The Californian was tied at 2-2 with Sam Stosur. Then she reeled off 10 straight games to reach the second week, her best ever showing at a major. 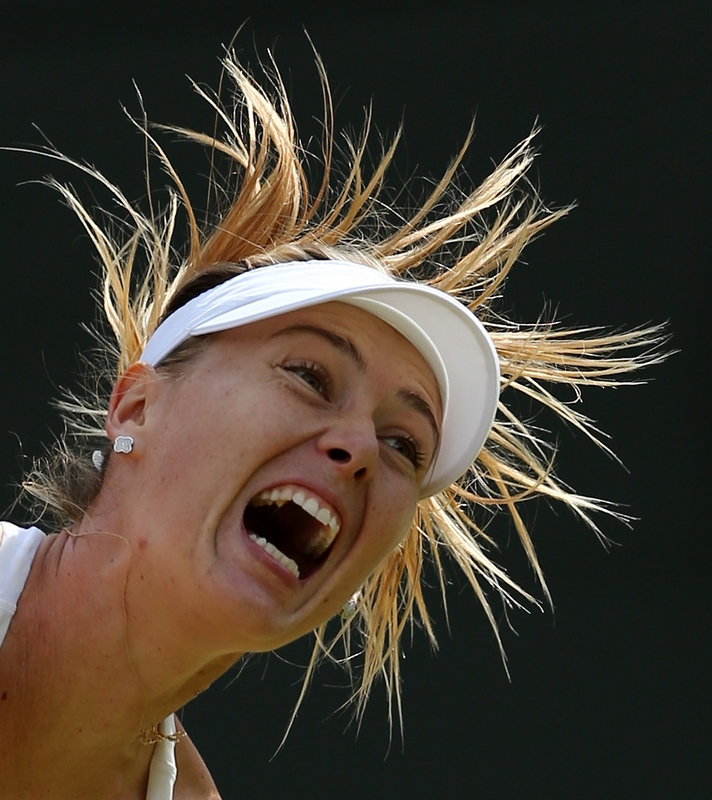 With her serve and improved familiarity with grass, she has a real chance to go further. Yesterday you said, "I suspect most fans would rather watch a candid one-on-one interview with [Sharapova]..." I can't remember the last time she said anything that wasn't rehearsed or canned. Admit it, Jon—that was an unforced error. Or was that you speaking, tongue firmly in cheek. • Dead serious. Watch Mary Carillo interview Maria and decide whether it's more or less entertaining than the first few games of Cilic-Berankis or whatever. • Good catches. But I go age over wingspan. Check out Schiavone (35) and Date-Krumm (44) and then Lisa Raymond (41) and Cara Black (36). They supplement their prize money with Bingo winnings. How do you explain Nadal's demise at Wimbledon? How do you go from reaching five consecutive finals (not including his 2009 injury absence) and winning twice, to not making it past the second round in three of the last four years? How do you go from beating Federer, Murray and Berdych, to losing to Rosol, Darcis, Kyrgios and Brown? • It’s the difference playing with confidence and lacking it. ​Let's not mention "Rafa" and "GOAT" in the same sentence ever again. • Let’s wait until his career is over before any disqualifications. But, yes, these last 12 months have damaged his GOAT qualifications. I’m impressed by how wide-ranging the opinions are here. At least one top player is convinced Nadal is done. The other school of thought is that he devotes the rest of year to preparation for 2016 and winning the French Open in June. I love Roger Federer, but that tweener on Thursday was showboating. There was no need for it. 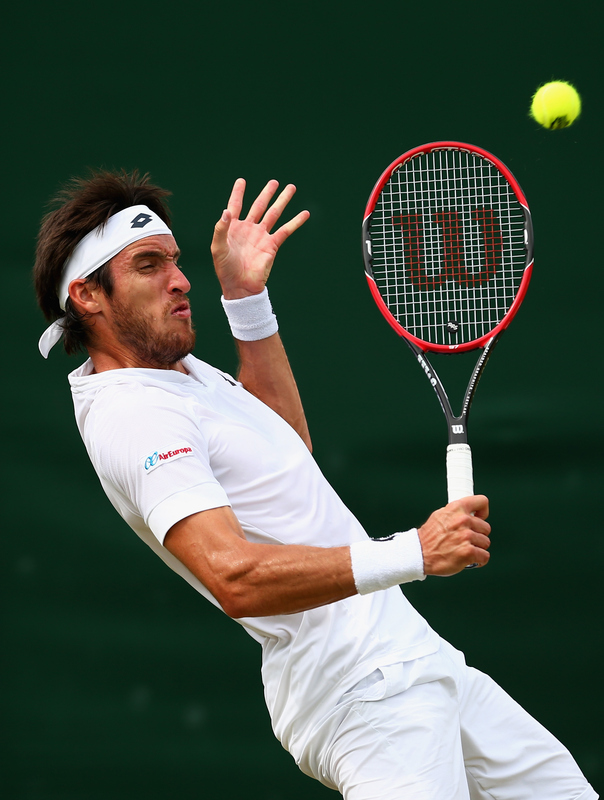 His other tweeners, when he does them with his back turned towards the opponent, really look like the best option, but he could have hit a normal shot against Querrey. In baseball, he would have been hit by a pitch for doing something like that. Besides for the answer that he is Roger Federer, how does he get away with that? • He is Roger Federer. Daily Data Viz: What is hurting Rafael Nadal's game at Wimbledon?